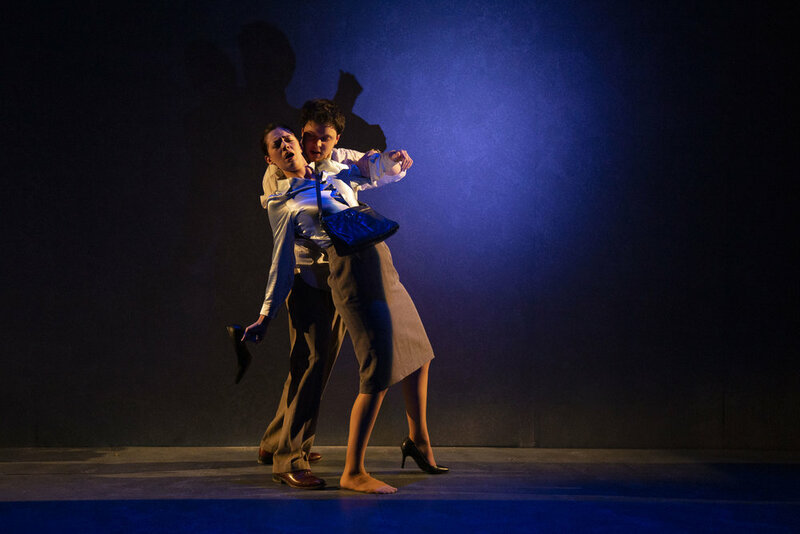 It was a joy to collaborate with director Yury Urnov and Towson University actors on this evocative show steeped in folktale and an exploration of humanity’s desire for connection in the face of trauma. I had the privilege of working on Act III of this imaginative take on a post-apocalyptic world in which Simpsons characters root the surviving culture in ritual and myth to a life before destruction and isolation. Thanks to Yury Urnov for bringing me onboard and to the amazing Wilma theatre actors for their creativity and generosity. Disaster has struck and the world is in darkness. In the aftermath, a group of survivors gather in the dead of winter, trying to brave their new reality by recounting another remnant of the bygone world: The Simpsons. Join the HotHouse Company as they tackle Anne Washburn’s wickedly smart dark comedy that charts life after lights in the path to rebuilding civilization, with America’s favorite family as the cornerstone. A look at capitalism, the American dream, and gender roles in the corporate sphere, Overtime: Men at Work was a quirky, soulful, labor of love. 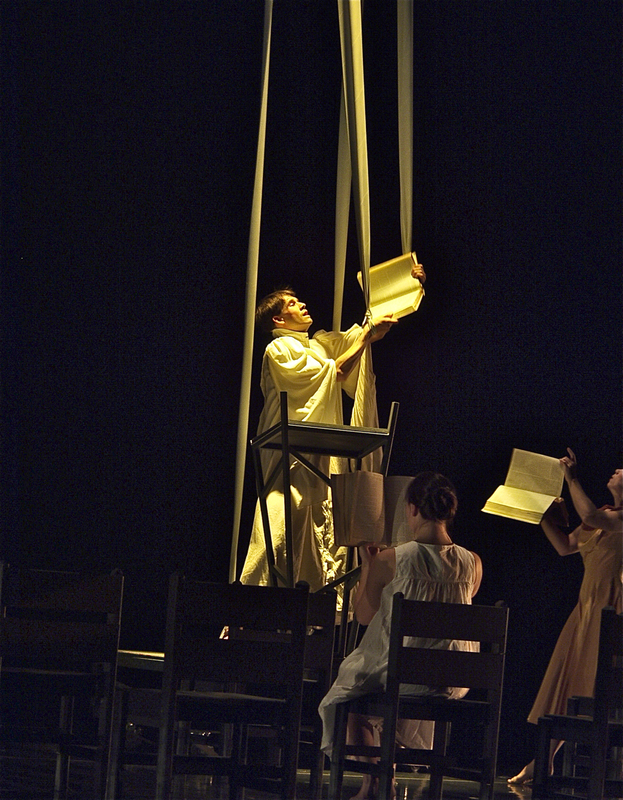 The piece was workshopped and devised with artists at SUNY Schenectady College and performed at Proctor's Underground Theatre. Here, the HEADSHOT! Project took on a new metamorphosis as we developed entirely new sects of characters as well as multiple musical numbers to add new dimension to the production. 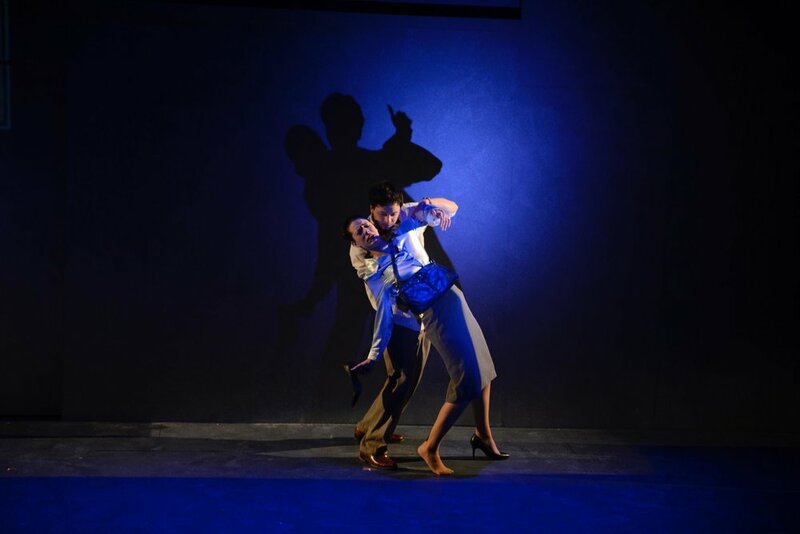 I served as Assistant Director for this iteration, and was able to offer a unique perspective and insight to the actors in rehearsal, having originated and performed variations of some of the show's material. INSULA was created and mounted through a residency at Montclair State University. I was excited to work alongside the ever brilliant Kari Margolis as her Assistant Director, and worked closely with her as a co-deviser both conceptually and in rehearsals. The show was selected to be performed at KCACTF Region 2 Festival in 2013 and won several awards. 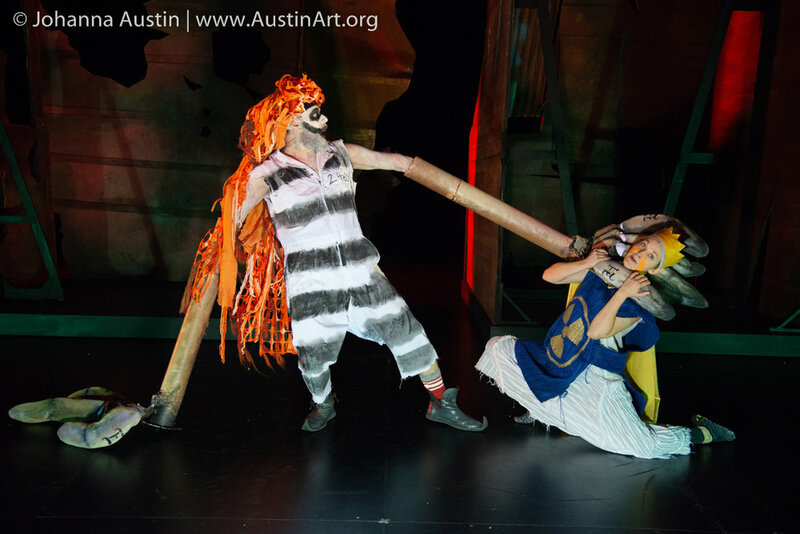 Devised with the MB ADAPTORS Company through rigorous training and rehearsal, we created this piece as a suite of fairy tales and images exploring the ways humanity acts as puppet and puppeteer. PULLING STRINGS takes us on a dreamlike journey into the deepest corners of our imagination. 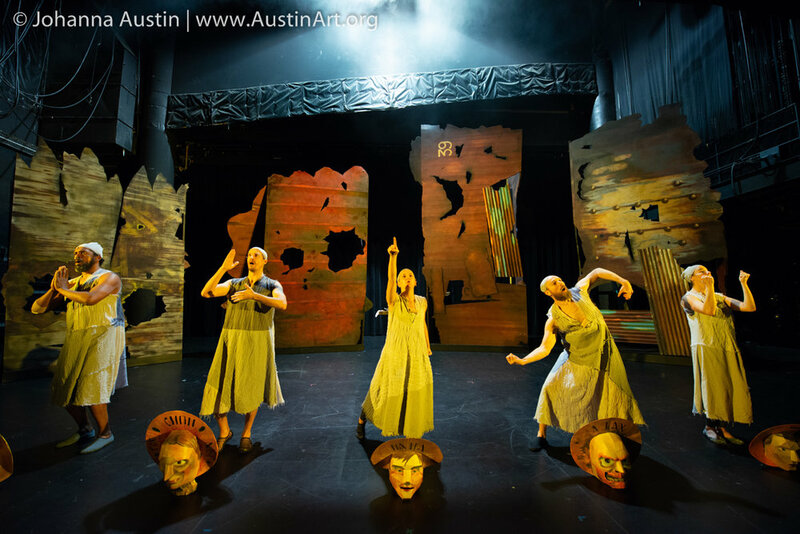 Rich in imagery and highly physical, the production plays on our notions of each other, stereotypes and our desire to mold one another into our vision of perfection -- often at the cost of leaving our humanity behind. PULLING STRINGS is a visceral human puppet theatre where the actor’s every breath, shift of weight, gesture and emotion are precisely sculpted. Voices are disjointed with characters speaking for each other like ventriloquists and gestures are compelled at times as if by invisible strings -- all creating a chimerical reality where characters are both void of and at the same time hyper-full of life. In a world that exists out of time and place PULLING STRINGS exposes the tenuous thread that connects all humanity. I had the honor of creating and touring this show with an amazing ensemble in the US and at CosFest just outside of Barcelona in Reus, Spain. It was a formative experience for me in developing my improvisation and collaborative, ensemble skill sets. 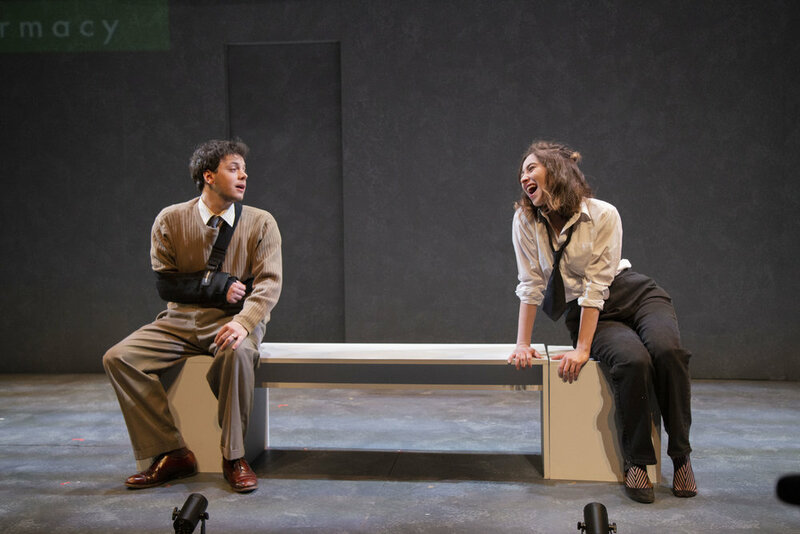 First workshopped at the University of Minnesota Twin Cities with a cast of 14, the show had a parallel life and was remounted with students at the University of Nevada Las Vegas and went on to perform at the KCACTF National Festival as well as the Edinburgh Fringe Festival. As a Company Member of the MB ADAPTORS, we redeveloped the piece with a cast of seven, then six. Seven strangers are invited to a mysterious event. Dressed for a party they find themselves in a place with no address, no host and — no exits. Connected only by circumstance, this unlikely group of characters can only rely on their intuition as they navigate through a sea of relationships and unexpected happenings. In pursuit of answers they become mourners at a funeral, contestants at a marathon dance, jurors in a courtroom and players in a life-sized game of checkers. In the end, do we ever find ourselves; or do we tend to lose ourselves in the moment? THE HUMAN SHOW is less of a story than an event. An event that unfolds as one might imagine life passing before ones eyes in a distant yet oddly familiar stream of consciousness. 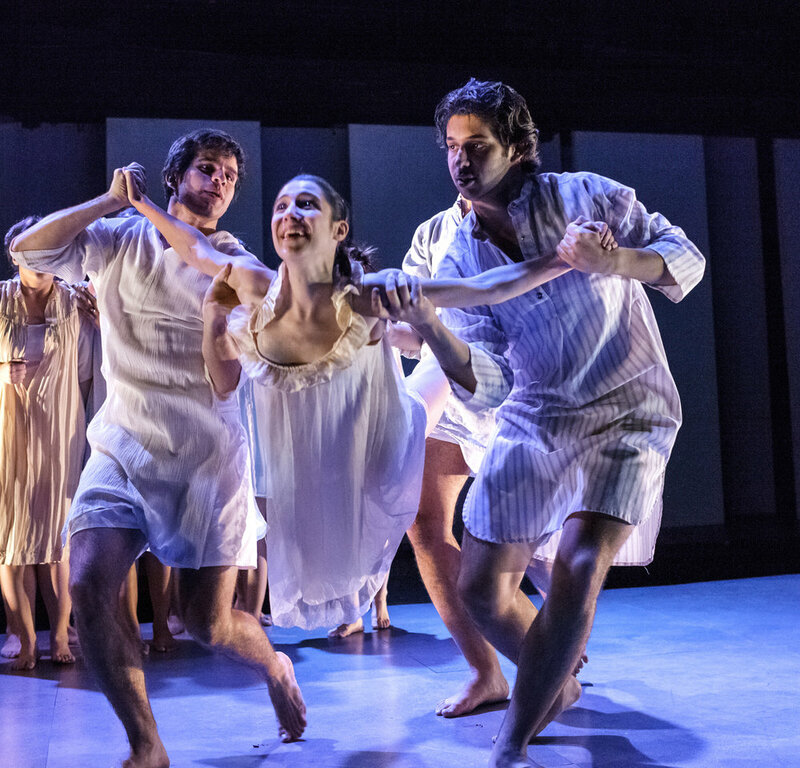 Workshopped at the University of Minnesota Twin Cities with the MB ADAPTORS Company, SLEEPWALKERS was a spectacle of myth, spirituality, and ritual exploring humanity’s relationship to death and the afterlife. Haunted by ancient myths and images of the Hereafter, 30 souls cross paths on a timeless road somewhere in the present. In this mystical dreamscape a fantastic procession of characters including the crone, the fanatic, the prophet and the family next door unwittingly co-exist hand in hand. Can they ever wake from this strange existence if they do not know they are asleep?